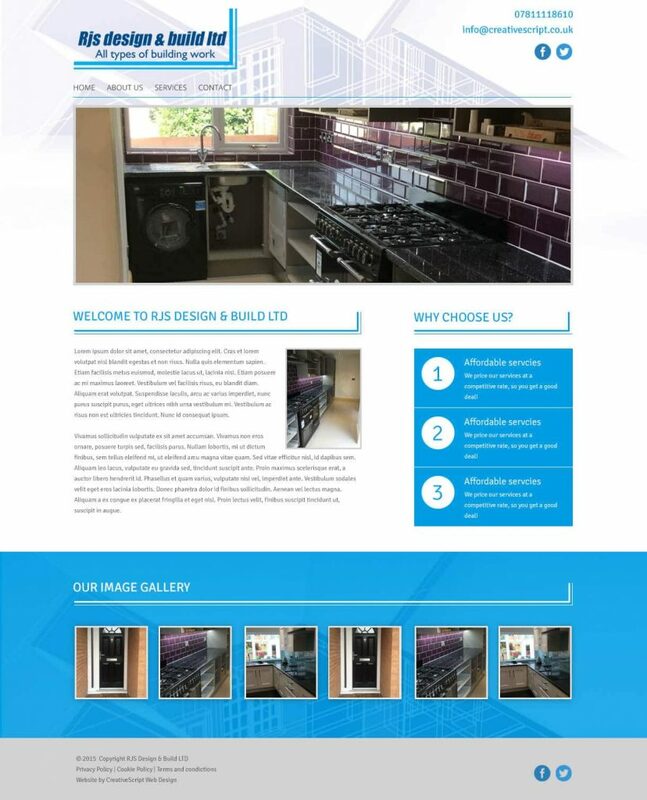 RJS Design and Build are local nuneaton based builders that specialise in a range of services from extensions to kitchens to windows, they provide a high standard and reliable service. RJS came to us wanting to expand online to reach out to the sounding area. We built them a mobile responsive website with a range of features including a gallery, sliding banner and contact form. We designed the site to reflect the process of their work by incorporating blueprint designs, blending this with an easy on the eye design. We gave them all the features they needed to get their work across. Love what we did for RJS Design & Build? then why not drop us a line and we will be in contact for friendly, no obligation chat, Let us explain how we can help you.